Advances in technology have made great changes in the medical and science field and in our daily lives in general. It’s also changed the way we consume and enjoy entertainment. Tech like AR and VR are becoming more prevalent in media, especially games. AR is frequently used in games like Pokemon Go and Knightfall AR to provide an immersive, unique experience. 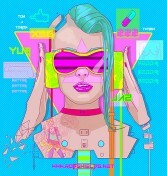 Rob Shields aims to do the same by bringing this tech to comics with his latest project Neon Wasteland. Taking cues from Brave New World, Neon Wasteland takes place in a dystopian cyberpunk future where people no longer have a human form. Instead they are digitally immortal via the Omniverse “a massive orbital computer system spreading throughout the galaxy.” The story follows two rival gangs who question their reality when a group of undead mutant soldiers overruns their camp. On their journey, they unravel the dark truth about their technological world. Aside from the story and the vibrant artwork, what makes this comic stand out is its companion AR App. Developed by Shields, it helps bring the characters and world to life. Raging fires, gruesome headshots, and glitchy technology is animated right before your eyes. It makes reading the comic a more engaging, interactive experience, something Shields was going for. 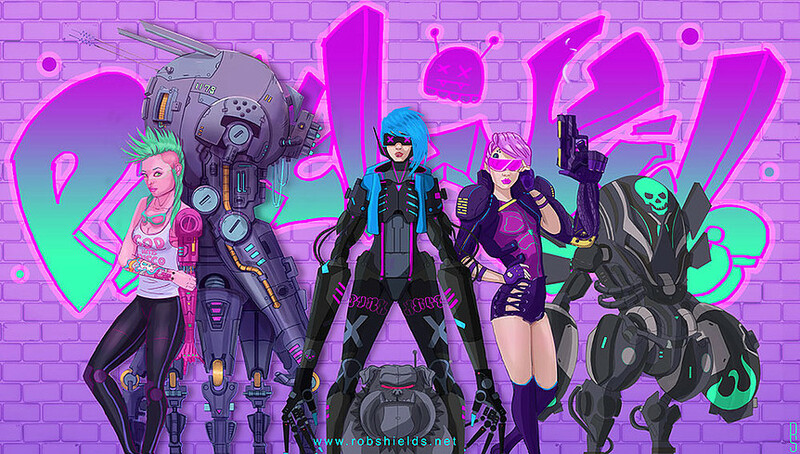 Shields says the story is a satire of our society’s relationship with technology and its impact on our world. “Tech in Neon Wasteland is the same as it is in our own world,” he says, “an overwhelming force that will fundamentally change the human race forever.” Considering the characters exist in a massive computer system, it sounds like damning critique on our society’s obsession with technology. But Shields says this isn’t the case. He doesn’t have a pro or anti-tech message. Rather, he wants people to question the role technology plays in their own lives. “The characters in the story are not trying to stop this technology. There is no stopping; there’s only riding the wave of change or being carried away by it. In the face of this reality, the characters are just trying to hold on to what keeps them human.” He also believes people are drawn to technology to build connections with others. 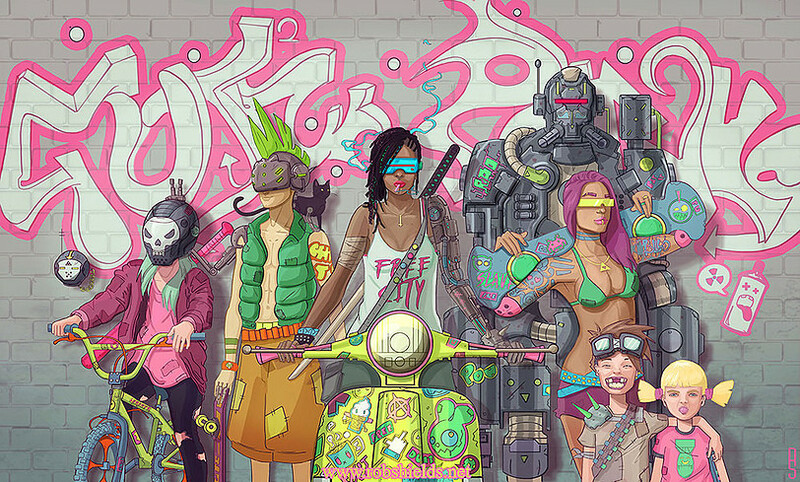 Neon Wasteland’s story is so rich and layered, it goes beyond the app and comic. Shields is currently working on a video game component that expands the universe and lets readers get more familiar with the characters. Throughout the story, characters will “jack-in” to the Omniverse. These moments will be represented in the video game letting players experience what the characters are going through. Though the game is meant to be a supplement to the story, the two aren’t dependent on one another. Issue 1 of Neon Wasteland is slated for a May 2019 release. 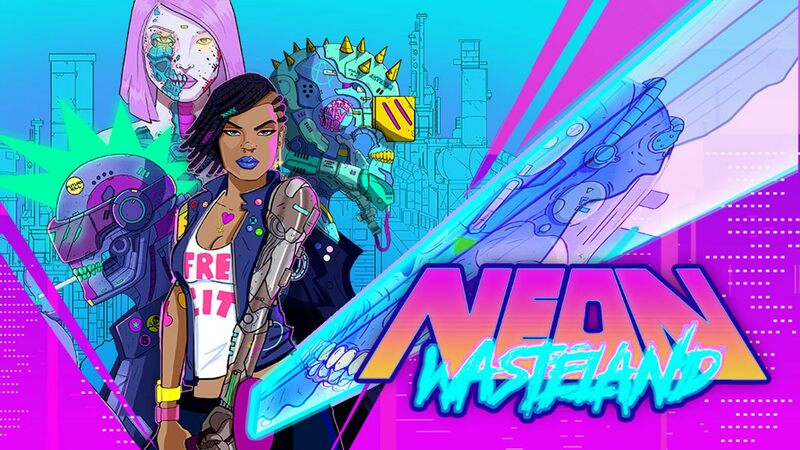 To learn more about the project, visit www.NeonWastelandGame.com.